Michigan’s leading business groups are again throwing their support behind some of Democratic Gov. Gretchen Whitmer’s proposals. In a joint statement on Thursday, the heads of Business Leaders for Michigan, the Small Business Association of Michigan, the Detroit Regional Chamber of Commerce and the Grand Rapids Area Chamber of Commerce announced a partnership with Whitmer in achieving her workforce development and higher education goals. Whitmer has laid out a goal of growing the percentage of Michiganders with post-high school degree or job-training certificate to 60 percent by 2030. The state’s business advocates say that’s needed for Michigan to remain competitive. To that end, Whitmer has proposed two programs, Michigan Reconnect for workers 25 and older and the My Opportunity scholarship for high school students. “Nearly every large employer in Michigan faces the same major challenge: talent attraction and retention,” Business Leaders for Michigan CEO Doug Rothwell said in a statement. 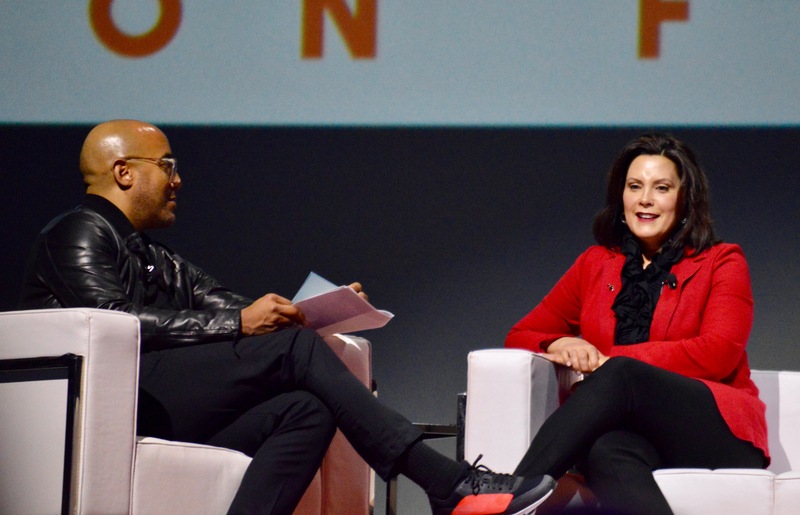 During her State of the State address in February, Whitmer talked about the so-called “skills gap,” in which roughly 44 percent of Michigan adults lack the education or training to find good-paying jobs. She identified it as one of the major crises facing the state. For Brian Calley, the president of SBAM and the Republican former lieutenant governor under former Gov. Rick Snyder, Whitmer’s goal of 60 percent attainment by 2030 is a must. These same business groups have largely been supportive of Whitmer’s ambitious plan to fix the state’s crumbling roads and bridges. The plan relies on a skeptical Republican-led Legislature — which is normally in alignment with business groups — agreeing to a 45 cent gas tax increase to raise $2.5 billion in new revenue.